Endurance Doors have a wide variety of classic doors inspired by the Georgian and Victorian eras. Ideal for the most traditional looking property, this collections offers all the benefits and features of modern security whilst maintaining a traditional look. With 20 doors to choose from, all available in our 17 amazing colours with the option for matching coloured frames, you’re sure to find something to suit your home. 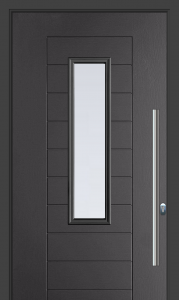 The Urban Collection features 10 of the most contemporary looking composite doors perfect for the modern home. Doors in this range look fantastic with stainless steel pull handles and striking glass designs. To really make a statement and improve the kerb appeal of your home why not choose a bold, striking colour? 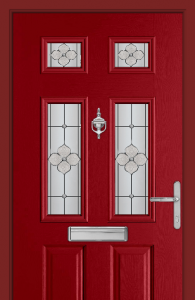 Whatever you’re after, the Urban Collection of composite doors will have a style to suit your tastes for a beautiful fit. Channel country charm with a new Endurance composite door from our County Collection. These traditional shiplap styles look fantastic in earthy tones such as Irish Oak, Racing Green and Walnut, and many of these door styles are also available as stable doors. Choose the high security ATK 3 Star Diamond Cylinder and you can be safe in the knowledge your home and family are safe and secure. From new homes to old, from period to heritage, we know that getting the perfect composite door to your property isn’t a ‘one size fits all’ process. This is why we offer three ranges of composite doors, Classic Collection, Urban Collection and Country Collection, to give you the freedom to find the right one for you. So, take your time and have a browse through the styles that we have to find a beautiful door that will make you feel safer, warmer and more comfortable in your home. 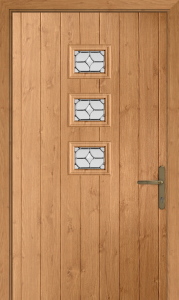 Try our online home visualiser app to create your perfect composite door, and see how it will look on your own home!